Read 2 times. Last read February 19, 2011 to February 22, 2011. The Girl Who Chased the Moon was a delightful, charming and enjoyable read. Set in small town Mullaby, North Carolina the author filled the book, town and characters with plenty of Southern charm. She had me craving my NC roots, not to mention, hungry for barbeque and hushpuppies. The book was full of interesting, quirky and likeable characters. I found myself just as anxious as the character Emily trying to figure out the secrets and mysteries of this small town. When I finally reached the end of the book I didn't want to see it end, I wanted more time with these characters. This was the first book I read by Sarah Addison Allen but it won't be my last. Sign into Goodreads to see if any of your friends have read The Girl Who Chased the Moon. Sarah Addison Allen's newest book comes out on March 22! I can't wait! 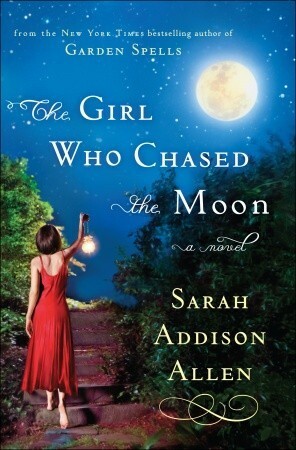 JG (The Introverted Reader) wrote: "Sarah Addison Allen's newest book comes out on March 22! I can't wait!" I promise to read this one next, no really I will, it sound really cute! Shannon wrote: "I promise to read this one next, no really I will, it sound really cute!"